Jeanne E. Arnold is Professor of Anthropology at the University of California, Los Angeles. She joined the UCLA faculty in1988. She completed her B.A. at the University of Michigan and received her Ph.D. from the University of California, Santa Barbara. She has researched and published extensively on the later prehistory and early Historic period of the American Pacific Coast, focusing on Native American community and household organization, specialized labor and occupations, and the emergence of hierarchical socioeconomic and political relationships in traditional societies. Arnold's archeological field and laboratory research in western North America has been supported principally by the National Science Foundation. 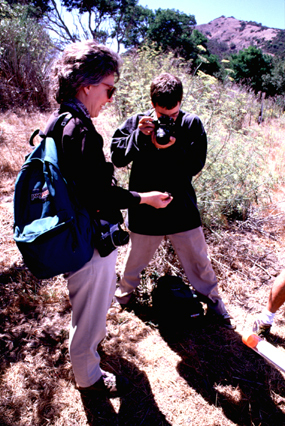 Using a variety of survey, surface collection, excavation, and remote sensing strategies, along with paleoenvironmental reconstruction, technological studies, and the like, Arnold and her students and collaborators have analyzed Chumash villages on the Channel Islands of California to provide a window onto daily household life, specialized craft production, exchange relationships, subsistence, and political evolution. Recent archaeological discoveries support the view that the coastal Chumash were among the most complex hunter-gatherer peoples of the world. The UCLA arm of the Fraser River Valley Project (2002-2006) in Southern British Columbia, Canada, was co-directed by Arnold and David Schaepe and Ph.D. students A Graesch and M Lenert. It was part of a broader project with colleagues from University of British Columbia, Simon Fraser Univiersity, and the Sto:lo Nation. Investigations of household and community organization in later prehistoric and early contact-era Sto:lo pithouse villages provided new insights into status, diet, identity, and regional interaction. Arnold served for 14 years on the Society for American Archaeology's National Historic Landmarks Committee, preserving the nation's cultural heritage in association with the National Park Service. This work has been acknowledged by the U.S. Department of the Interior. She also serves in a frequent advisory role to California's Channel Islands National Park. Her recent published work includes investigations into the relationship between political power, labor rights, and kinship in traditional societies; explorations of the costs and benefits of participation in hierarchies; and ethnoarchaeological work in contemporary Los Angeles. Arnold has published several books, most recently Life at Home in the Twenty-First Century: 32 Families Open Their Doors (w/ Graesch, Ragazzini, Ochs 2012), California’s Ancient Past: From the Pacific to the Range of Light (w/ Walsh 2010), The Origins of a Pacific Coast Chiefdom: The Chumash of the Channel Islands (2001), Foundations of Chumash Complexity (2004), and Emergent Complexity: The Evolution of Intermediate Societies (1996). Island Chumash villagers were maritime peoples, engaged heavily in using the rich faunal resources of the Pacific Ocean. They traded extensively with mainland Chumash neighbors across the Santa Barbara Channel, using their renowned plank canoes. Villagers lived in large, permanent communities along the coasts, and many of them specialized in the manufacture of microdrills or shell beads. Millions of drills and shell beads were made by islanders during the last half-millennium before the arrival of Europeans. 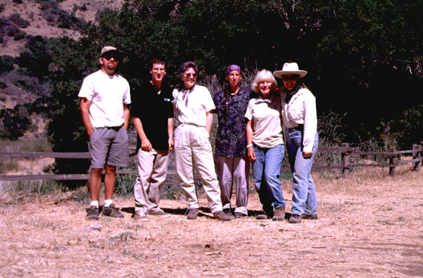 Team members began fieldwork on early Historic period Island Chumash households and communities in 1995. Field teams sampled roughly 35 houses at four large Historic village sites on Santa Cruz Island, exploring wealth and social status, participation in craft specializations, and diet in these households. More intensive excavations were carried out at five houses in these villages, with fieldwork concluding in the late 1990s. Arnold’s earlier field research at three Historic-era houses at an island microblade manufacturing village was recently incorporated into this project. Several publications have emerged from this large corpus of data (Arnold 2011; Arnold 2009; Arnold and Graesch 2004; Arnold, Ambos, and Larson 1997; Dietler 2003; Graesch 2004; Noah 2005), and analyses are ongoing. The UCLA Center on Everyday Lives of Families (CELF) project, supported by the Alfred P. Sloan Foundation, focused on the daily lives and material worlds of contemporary middle-class families in the Los Angeles area (link @ http://www.celf.ucla.edu/). Arnold has been a faculty project member since its inception in 2001. She developed the research design and directs the ethnoarchaeology domain of the CELF project, which focused on the material culture of middle-class families at home, including the physical house and grounds, the possessions of the family, and uses of residential space by families. The material and visual record of life in modern American households captured in CELF databases is unprecedented among modern industrial societies (floor-plan maps, more than 20,000 digital photos of possessions, systematic scan sampling data of domestic uses of space, etc.). The assembled archives allow rapid access to rich spatial and temporal records of working family life, providing for an array of qualitative and quantitative analyses about activities, objects, and time use in the home. Among other topics, Arnold is investigating the crush of household possessions and their distribution within many of the sampled houses, the vanishing leisure time of parents, and the ways family identity is embodied in the home and its artifacts. The article “Changing American Home Life: Trends in Domestic Leisure and Storage among Middle-Class Families” appeared in the Journal of Family and Economic Issues in 2007.Arnold and co-authors Graesch, Ragazzini, and Ochs recently published a photo-rich, rigorously documented book on the study entitled Life at Home in the Twenty-first Century: 32 Families Open Their Doors in 2012. Graduate students working with Jeanne Arnold are conducting research in a variety of cultural and geographic settings, primarily on complex hunter-gatherers. Kelly Fong, Ben Shepard, Eric Fries, Stephanie Salwen, and Scott Sunell are currently at various stages of their MA or doctoral projects. Recent Ph.D. recipients include Anna Noah (2005), Anthony Graesch (2006), Ray Corbett (2007), Michael Lenert (2007), Julie Bernard (2008), John Dietler (2008), and.Angela Orlando (2012). At the UC Reserve Field Station on Santa Cruz Island. Pictured (left to right) are: Anthony Graesch, Scott Pletka, Jeanne Arnold, Karen Sirota, Anna Noah, and Terisa Green. 2002-2005. Fraser River Valley Archeological Project, British Columbia, Canada. Collaborator and co-director with colleagues from UBC, SFU, and Sto:lo Nation. In 2003 and 2005, director of excavations at Ts'qo:ls village, Upper Fraser Valley, Hope, B.C. 1995-1999. Santa Cruz Island, California. National Science Foundation Project: "Inter-Household Variability in Status, Wealth, and Production in the Later Prehistory of the Channel Islands." P.I. : Research excavations, households, remote sensing, low-impact collection techniques. 1985, 1988, 1990, 1991, 1992, 1994, 1995, 1996, 1997. Santa Cruz Island, California. Director. Archaeological Field School: excavation, survey, mapping, and laboratory training for undergraduate and graduate students. 1998. Stunt Ranch Reserve /Santa Cruz Island. Director. Archaeological Field School: excavation, survey, mapping, and laboratory training for undergraduate and graduate students. 1993, 1995, 1998. Santa Susana Mountains or Stunt Ranch Reserve, California. Director. Archaeological Field Course: excavation, mapping, and laboratory training. 1988-1991. Channel Islands, California. National Science Foundation Project: "Emergent Complexity in the Prehistoric Channel Islands, California." P.I. : Research excavations and survey, early evolution of chiefdoms among California hunter-gatherers. 1990, 1991, 1992. Denmark (Northern Jutland). Late Neolithic-Early Bronze Age excavations (T. Earle, M. Rowlands, and K. Kristiansen, directors). 1981-1983. Northern Channel Islands, California. Director. Survey and excavation at quarries and craft production localities. 1976-1977. Michigan. Co-Principal Investigator, Surveys, including Field Co-Director (1976), Season II of the River Raisin Survey. University of Michigan Museum of Anthropology. 1976. The Netherlands. National Science Foundation (R. Whallon, Director). University of Michigan and the Biologisch-Archaeologisch Institut, U. Groningen, Netherlands. Excavations, Mesolithic/ Neolithic. 2012 Arnold, J. E., A. Graesch, E. Ragazzini, and E. Ochs. Life at Home in the Twenty-First Century: 32 Families Open Their Doors. Cotsen Institute Press, Los Angeles. 2012 Arnold, J. E. “Prestige Trade in the Santa Barbara Channel Region.” California Archaeology 4(1): 145-148. 2012 Arnold, J. E. “Los Angeles: A 10,000 Year History of Consumption and Waste.” In Encyclopedia of Consumption and Waste, edited by William Rathje, SAGE Publications. 2011 Arnold, J. E. “Detecting Apprentices and Innovators in the Archaeological Record: The Shell Bead-Making Industry of the Channel Islands.” Journal of Archaeological Method and Theory. DOI 10.1007/s10816-011-9108-1, May 2011. 2011 Arnold, J. E. “Technological Decision Making: Fused Shale Tool Production in California.” North American Archaeaologist 32:15-48. 2010 Arnold, J. E., and M. R. Walsh. California’s Ancient Past: From the Pacific to the Range of Light. Society for American Archaeology Press, Washington, DC. 2010 Rick, T.C. Robert L. DeLong, Jon M. Erlandson, Terry L. Jones, Todd J. Braje, Jeanne E. Arnold, Matthew DesLauriers, Douglas J. Kennett, René L. Vellanoweth, and Thomas A. Wake. "Where Were the Northern Elephant Seals? Holocene Archaeology and Biogeography of Mirounga angustirostris." The Holocene 21(7): 1159-1166. 2009 Arnold, J. E. “The Role of Politically Charged Property in the Appearance of Institutionalized Leadership: A View from the North American Pacific Coast.” In The Evolution of Leadership: Transitions in Decision Making from Small-Scale to Middle-Range Societies, edited by K. J. Vaughn, J. W. Eerkens, and J. Kantner, pp. 121-146. School of Advanced Research Press (SAR), Santa Fe, NM. 2009 Beck, M. E., and J. E. Arnold “Gendered Time Use at Home: An Ethnographic Examination of Leisure Time in Middle-Class Families.” Leisure Studies 28:121-142 (Routledge). 2009 D. Lepofsky, D. Schaepe, A. Graesch, M. Lenert, P. Ormerod, K. T. Carlson, J. E. Arnold, M. Blake, P. Moore, and J. Clague. “Exploring Sto:lo-Coast Salish Interaction and Identity in Ancient Houses and Settlements in the Fraser Valley, British Columbia.” American Antiquity 74:595-626. 2008 Arnold, J.E. “Archaeology of California.” In Archaeology in America, edited by F. P. McManamon, L. Cordell, K. Lightfoot, and G. Milner (in press; October 2008). 2008 Arnold, J.E. “Northern Channel Islands Archaeology.” In Archaeology in America, edited by F. P. McManamon, L. Cordell, K. Lightfoot, and G. Milner (in press; October 2008). 2007 Arnold, J.E. “Credit Where Credit is Due: The History of the Chumash Oceangoing Plank Canoe.” American Antiquity 72:196-209. 2007. Arnold, J.E., and U.A. Lang. “Changing American Home Life: Trends in Domestic Leisure and Storage among Middle-Class Families.” Journal of Family and Economic Issues Vol. 28 (March 2007). 2007 Broege, N., A. Owens, A.P. Graesch, J.E. Arnold, and B. Schneider. “Calibrating Measures of Family Activities Between Large- and Small-Scale Data Sets.” Sociological Methodology 37(1):119-149. 2006 Arnold, J.E. Investigations at the Historic Pithouses of Ts’qó:ls Village (DiRi 1), Hope, British Columbia. St ó :l ô Nation Heritage Investigation, Chilliwack, B.C. 2006. Arnold, J.E. “Comment on Constraints on the Development of Enduring Inequalities in Late Holocene Australia.” Current Anthropology 47:19-20. 2006. Arnold, J.E. “Households on the Pacific Coast: The Northwest Coast and California in Comparative Perspective.” In Household Archaeology on the Northwest Coast (E. A. Sobel, D. A. Trieu Gahr, and K. M. Ames, eds. ), pp. 270-285. International Monographs in Prehistory, Ann Arbor. 2005. Arnold, J.E., and J. Bernard. “Negotiating the Coasts: Status and the Evolution of Boat Technology in California.” World Archaeology 37:109-131. 2004 Arnold, J. E., and D. Schaepe. Excavations at Captain Charlie’s Pithouse, Ts’qó:ls Village (DiRi 1), Hope, British Columbia. St ó :l ô Nation Heritage Investigation, Chilliwack, B.C. 2004. Arnold, J.E. (Editor). Foundations of Chumash Complexity. Cotsen Institute of Archaeology, Los Angeles. 2004. Arnold, J.E.., and A.P. Graesch. “The Later Evolution of the Island Chumash.” In Foundations of Chumash Complexity (J. E. Arnold, ed. ), pp. 1-16. Cotsen Institute of Archaeology, Los Angeles. 2004. Arnold, J.E. “A Transcontinental Perspective on the Evolution of Hunter-Gatherer Lifeways on the Plateau: Discussion and Reflection.” In Complex Hunter-Gatherers: Evolution and Organization of Prehistoric Communities on the Plateau of Northwestern North America (W.C. Prentiss and I. Kuijt, eds. ), pp. 171-181. University of Utah Press. 2004. Arnold, J.E., M.R. Walsh, and S.E. Hollimon. “The Archaeology of California.” Journal of Archaeological Research 12:1-73. 2003. Graesch, A.P., and J. E. Arnold. “Small-Scale Testing at SCRI-393: An Early Period Ridgetop Site.” Channel Islands National Park, Ventura , CA. 2002. Munns, A.M., and J.E. Arnold. “Late Holocene Santa Cruz Island: Patterns of Continuity and Change.” In Catalysts to Complexity: Late Holocene Societies of the California Coast (J. Erlandson and T. Jones, eds. ), pp. 127-146. Cotsen Institute of Archaeology, UCLA, Los Angeles. 2002. Arnold, J.E. “Review of Exploring Coast Salish Prehistory: The Archaeology of San Juan Island” (J. Stein). American Antiquity 67:178-179. 2002. Arnold, J.E., and D. Rachal. “The Value of Pismo Clam Tube Beads in California: Experiments in Drilling.” North American Archaeologist 23(3): 187-207. 2002. Arnold, J.E., and T.M. Green. “Mortuary Ambiguity: The Ventureño Chumash Case.” American Antiquity 67(4): 760-771. 2002. Graesch, A.P., and J. E. Arnold. “Archaeological Investigations at a Coastal Ventureño Community: Big Sycamore Canyon, Point Mugu State Park, California.” California Department of Parks and Recreation, San Diego, CA. 2001. Arnold, J.E. (Editor). The Origins of a Pacific Coast Chiefdom: The Chumash of the Channel Islands. University of Utah Press. 2001. Arnold, J.E. "The Chumash in World and Regional Perspectives." In The Origins of a Pacific Coast Chiefdom: The Chumash of the Channel Islands (J.E. Arnold, ed. ), pp. 1-19. University of Utah Press. 2001. Arnold, J.E. "The Channel Islands Project: History, Objectives, and Methods." In The Origins of a Pacific Coast Chiefdom: The Chumash of the Channel Islands (J.E. Arnold, ed. ), pp. 21-52. University of Utah Press. 2001. Arnold. J.E., and A.P. Graesch. "The Evolution of Specialized Shellworking among the Island Chumash." In The Origins of a Pacific Coast Chiefdom: The Chumash of the Channel Islands (J.E. Arnold, ed. ), pp. 71-112. University of Utah Press. 2001. Arnold, J.E., A.M. Preziosi, and P. Shattuck. "Flaked Stone Craft Production and Exchange in Island Chumash Territory." In The Origins of a Pacific Coast Chiefdom: The Chumash of the Channel Islands (J.E. Arnold, ed. ), pp. 113-131. University of Utah Press. 2001. Arnold, J.E. "Social Evolution and the Political Economy in the Northern Channel Islands." In The Origins of a Pacific Coast Chiefdom: The Chumash of the Channel Islands (J.E. Arnold, ed. ), pp. 287-296. University of Utah Press. 2000. Arnold, J.E. "Revisiting Power, Labor Rights, and Kinship: Archaeology and Social Theory." In Social Theory in Archaeology (M.B. Schiffer, ed. ), pp. 14-30. University of Utah Press. 2000. Arnold, J.E. "The Origins of Hierarchy and the Nature of Hierarchical Structures in Prehistoric California." In Hierarchies in Action: Cui Bono?, (M.W. Diehl, ed. ), pp. 221-240. Southern Illinois University Press. 1998. Arnold, J.E. Review of "The Chumash and Their Predecessors" (M.S. Holmes and J.R. Johnson, eds.). Journal of California and Great Basin Anthropology 20:289-291. 1998. Colten, R. H., and J. E. Arnold. "Prehistoric Marine Mammal Hunting on California's Northern Channel Islands." American Antiquity 63:679-701. 1998. Arnold, J.E. Review of "Political Structure and Change in the Prehistoric Southeastern United States" (J.F. Scarry, ed.). Southeastern Archaeology 16:79-80. 1997. Arnold, J.E., E.L. Ambos, and D. Larson. "Geophysical Surveys of Stratigraphically Complex Island California Sites: New Implications for Household Archaeology." Antiquity 71:157-168. 1997. Arnold, J.E. "Bigger Boats, Crowded Creekbanks: Environmental Stresses in Perspective." American Antiquity 62:337-339. 1997. Arnold, J.E., R. H. Colten, and S. Pletka. "Contexts of Cultural Change in Insular California." American Antiquity 62:300-318. 1996. Arnold, J.E. "The Archaeology of Complex Hunter-Gatherers." Journal of Archaeological Method and Theory, 3:77-126. 1996. Arnold, J.E. "Review of Prehistoric Exchange Systems in North America." American Anthropologist 98:429-430. 1996. Arnold, J.E. (Editor). Emergent Complexity: The Evolution of Intermediate Societies. International Monographs in Prehistory, Ann Arbor. 1996. Arnold, J.E. "Understanding the Evolution of Intermediate Societies." In Emergent Complexity: The Evolution of Intermediate Societies, (J.E. Arnold, ed. ), pp. 1-12. International Monographs in Prehistory, Ann Arbor. 1996. Arnold, J.E. "Organizational Transformations: Power and Labor among Complex Hunter-Gatherers and Other Intermediate Societies." In Emergent Complexity: The Evolution of Intermediate Societies, (J.E. Arnold, ed. ), pp. 59-73. International Monographs in Prehistory, Ann Arbor. 1995. Arnold, J.E. "Transportation Innovation and Social Complexity among Maritime Hunter-Gatherer Societies." American Anthropologist 97:733-747. 1995. Arnold, J.E. "Social Inequality, Marginalization, and Economic Process." In Foundations of Social Inequality, (T.D. Price and G.M. Feinman, eds. ), pp. 87-103. Plenum, New York. 1995. Arnold, J.E. "Review of Early Hunter-Gatherers of the California Coast." American Anthropologist 97:600-601. 1995. Arnold, J.E. "Did Ocean Changes Alter Island Society: Handling El Nino." Alolkoy; Channel Islands National Marine Sanctuary 7(4):15. 1994. Arnold, J.E. "Studies in Prehistoric Sociopolitical Complexity on the Northern Channel Islands and Preliminary Results from Prisoners Harbor." The Fourth California Islands Symposium: Update on the Status of Resources. (W.L. Halvorson and G.J.Maender, eds. ), pp. 193-200. Santa Barbara Museum of Natural History. 1994. Arnold, J.E., and A. Munns. "Independent or Attached Specialization: The Organization of Shell Bead Production in California." Journal of Field Archaeology 21:473-489. 1994. Arnold, J.E. 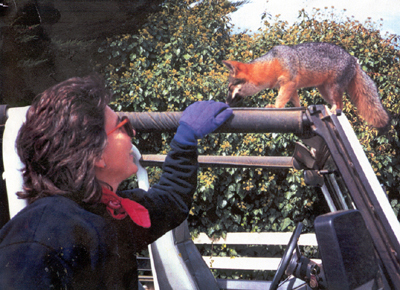 "Review of Before the Wilderness: Environmental Management by Native Californians." Ethnohistory 41(4):689-691. 1993. Arnold, J.E. "Labor and the Rise of Complex Hunter-Gatherers." Journal of Anthropological Archaeology, 12:75-119. 1993. Arnold, J.E., and B. Tissot. "Measurement of Significant Marine Paleotemperature Variation Using Black Abalone Shells from Prehistoric Middens." Quaternary Research, 39:390-394. 1993. Arnold, J.E., and J. O'Shea. "Review of Evolution of Chumash Society." American Antiquity, 58:770. 1993. Arnold, J.E. "Chumash Technology: New Discoveries of Uses of Imported Redwood and Asphaltum on the Channel Islands." Proceedings of the Society for California Archaeology, Vol.6:277-285. 1992. Arnold, J.E. "Complex Hunter-Gatherer-Fishers of Prehistoric California: Chiefs, Specialists, and Maritime Adaptations of the Channel Islands." American Antiquity, 57:60-84. 1992. Arnold, J.E. "Cultural Disruption and the Political Economy in Channel Islands Prehistory." In Essays on the Prehistory of Maritime California, (T. L. Jones, ed.). Center for Archaeological Research at Davis, Vol. 10: 129-144. 1992. Arnold, J.E. (Editor) Stone Tool Procurement, Production, and Distribution in California Prehistory. Institute of Archaeology, UCLA. 1992. Arnold, J.E. "Early-Stage Biface Production Industries in Coastal Southern California." In Stone Tool Procurement, Production, and Distribution in California Prehistory, pp. 67-129. Institute of Archaeology, UCLA. 1992. Arnold, J.E. "Lithic Analyses and Recent Research in California." In Stone Tool Procurement, Production, and Distribution in California Prehistory, pp. 1-3. Institute of Archaeology, UCLA. 1991. Arnold, J.E. "Transformation of a Regional Economy: Sociopolitical Evolution and the Production of Valuables in Southern California." Antiquity 65:953-962. 1990. Arnold, J.E. "Lithic Resource Control and Economic Change in the Santa Barbara Channel Region." Journal of California and Great Basin Anthropology 12(2):158-172. 1990. Arnold, J.E. 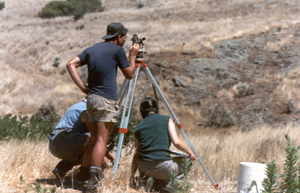 "An Archaeological Perspective on the Historic Settlement Pattern on Santa Cruz Island." Journal of California and Great Basin Anthropology 12(1):112-127. 1989. Arnold, J.E. "Review of Chiefdoms in the Americas." The Latin American Anthropology Review 1:74-75. 1988. Arnold, J.E. "Review of The Material Culture of the Chumash Interaction Sphere, Vol. IV: Ceremonial Paraphernalia, Games, and Amusements." American Antiquity 53:216. 1987. Arnold, J.E. Craft Specialization in the Prehistoric Channel Islands, California. University of California Press, Berkeley. 1987. Arnold, J.E. "Technology and Economy: Microblade Core Production from the Channel Islands." In The Organization of Core Technology, (J.K. Johnson and C.A. Morrow, eds. ), pp. 207-237. Westview Press. 1985. Arnold, J.E. "Review of The Material Culture of the Chumash Interaction Sphere, Vol. III: Clothing, Ornamentation, and Grooming." Journal of California and Great Basin Anthropology 7:274-275. 1985. Arnold, J.E. "The Santa Barbara Channel Islands Bladelet Industry." Lithic Technology 14(2):71-80. 1985. Arnold, J.E. "Economic Specialization in Prehistory: Methods of Documenting the Rise of Lithic Craft Specialization." In Lithic Resource Procurement: Proceedings from the Second Conference on Prehistoric Chert Exploitation, (S.C. Vehik, ed. ), pp. 37-58. Center for Archaeological Investigations Occasional Paper 4. Southern Illinois University. 1982. Ford, A., and J.E. Arnold. "A Reexamination of Labor Investments at Tikal: Reply to Haviland, and Folan, Kintz, Fletcher, and Hyde." American Antiquity 47:436-440. 1980. Arnold, J.E., and A. Ford. "A Statistical Examination of Settlement Patterns at Tikal, Guatemala." American Antiquity 45:713-726.